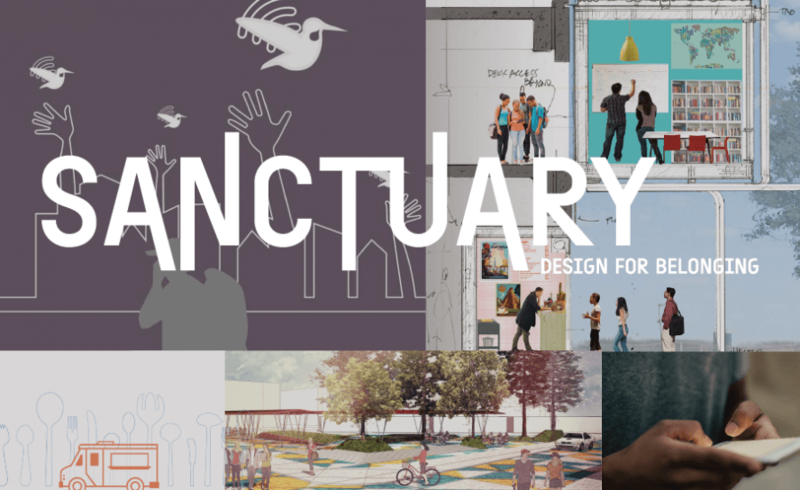 Join us for the Opening Night Reception for Sanctuary: Design for Belonging. The exhibition presents design ideas from Displaced: Design for Inclusive Cities, a competition seeking game-changing design solutions addressing the global refugee and immigrant crisis in an urban context. Proposals to create opportunity and enhance a sense of belonging are grouped into five functional themes that emerged from the competition entries: Social innovation, Shelter, Resource Hubs, Gathering Spaces and Story Telling. To encourage deeper understanding of the lives of immigrants and refugees in Puget Sound, the exhibit also includes examples of local organizations, resources, communities, solutions, and design imaginations that provide sanctuary. The first 200 guests will receive a copy a specially-commissioned poster by Raychelle.